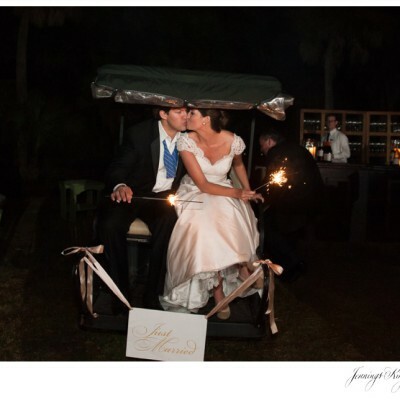 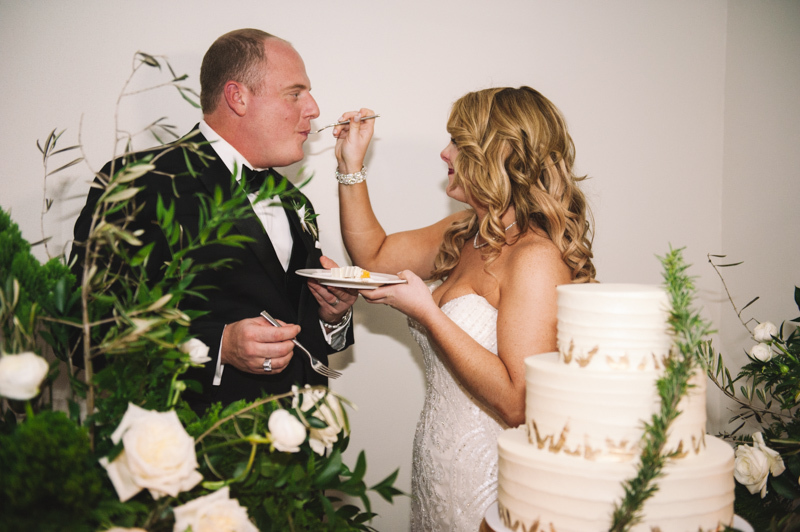 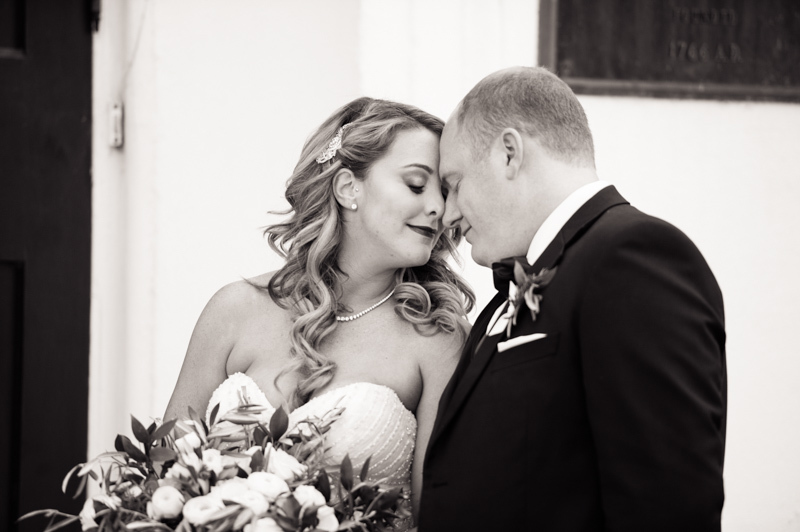 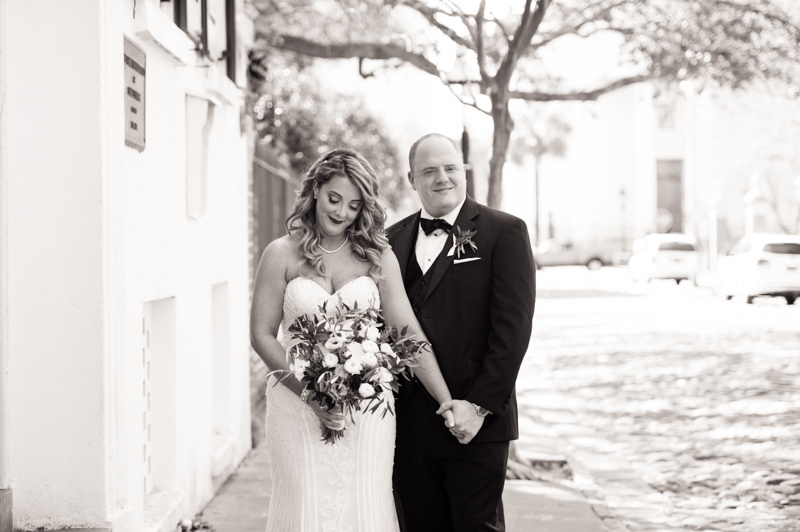 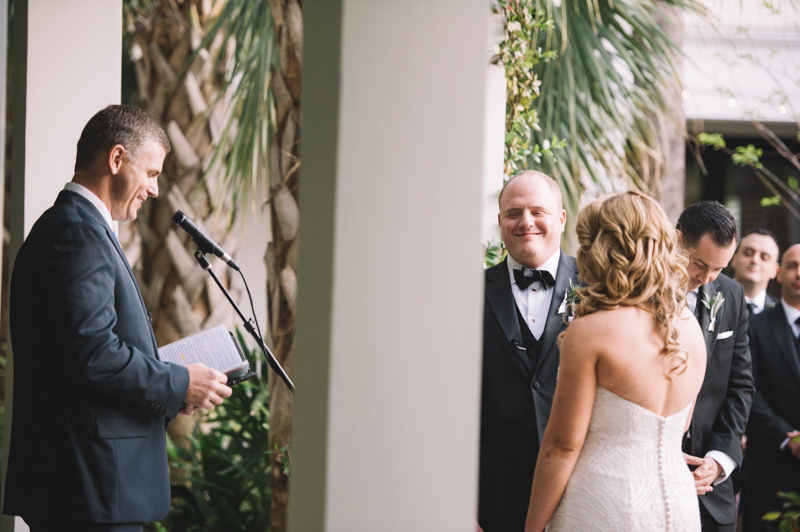 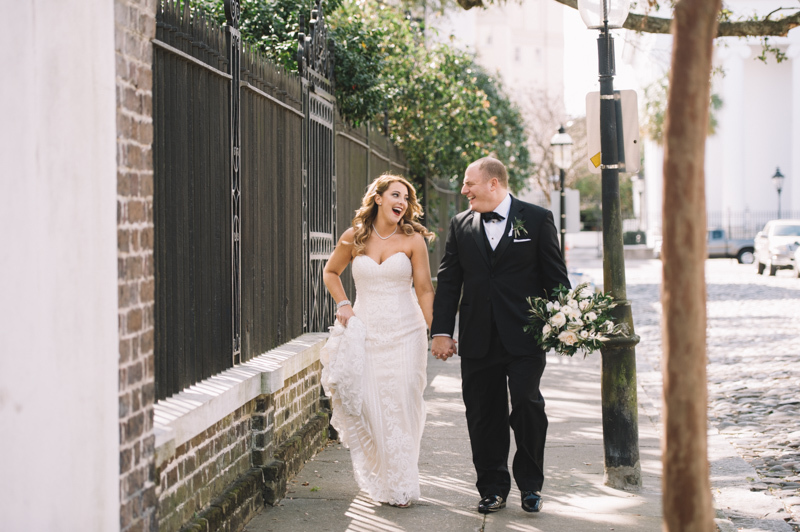 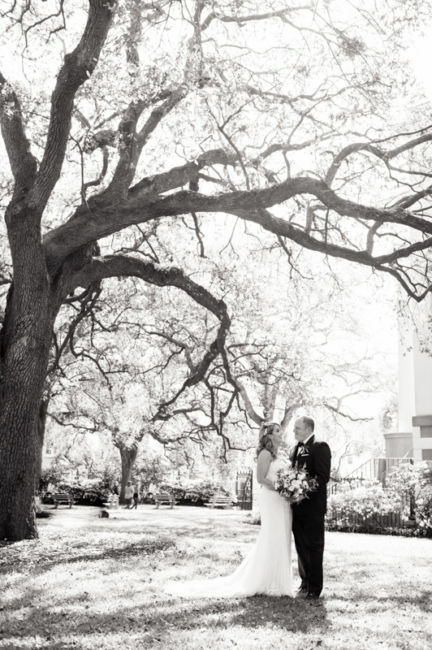 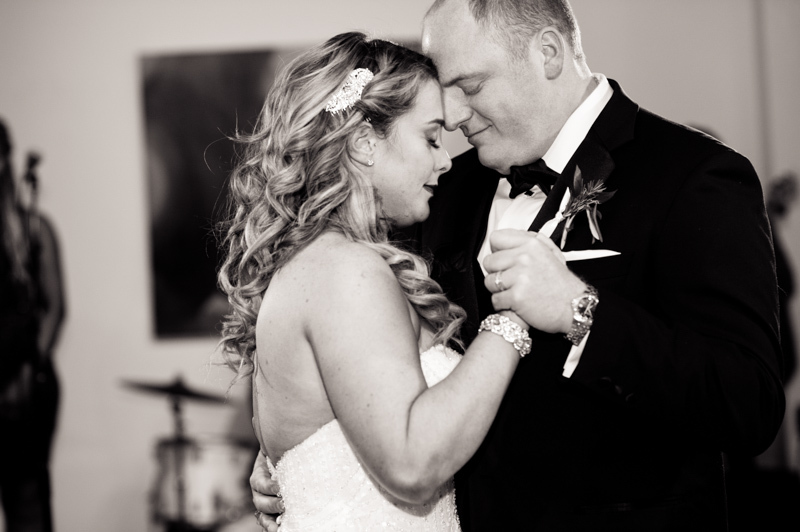 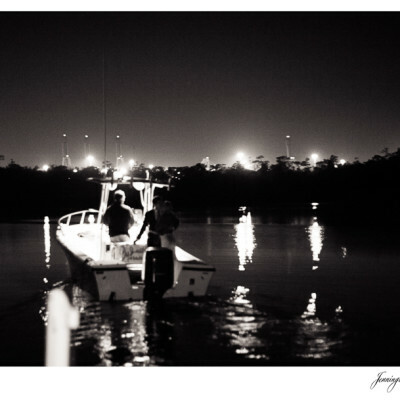 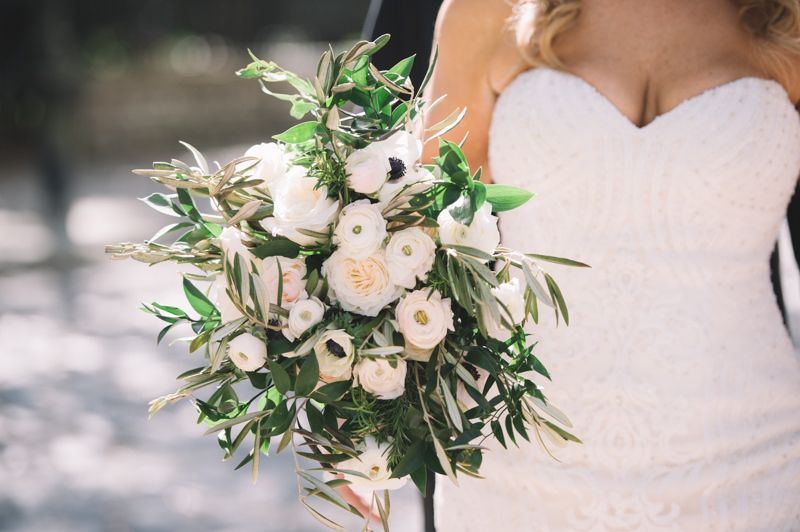 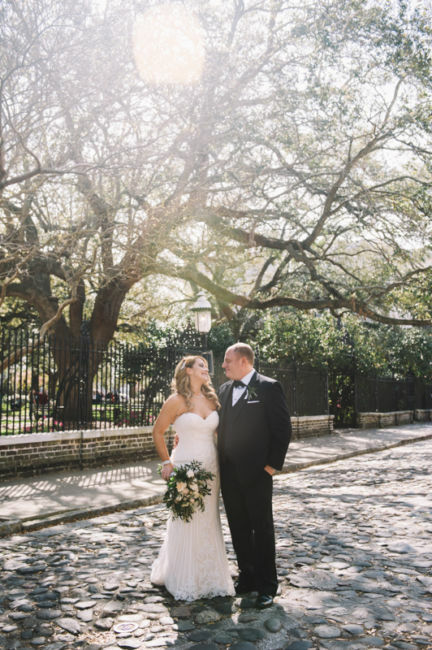 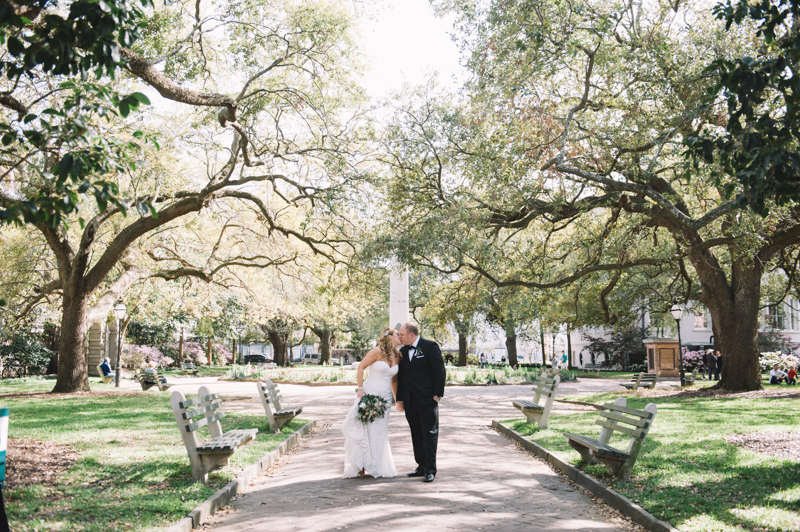 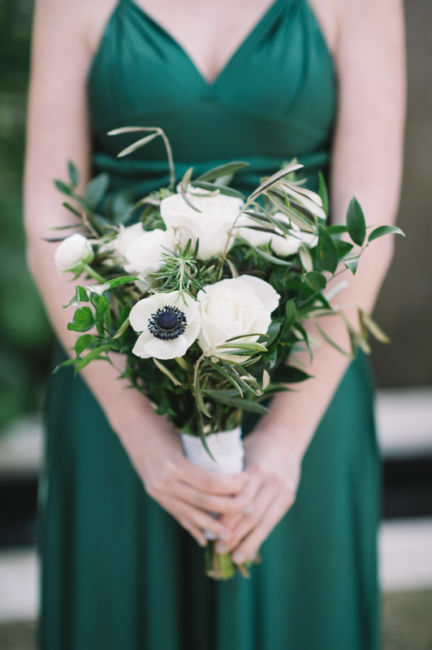 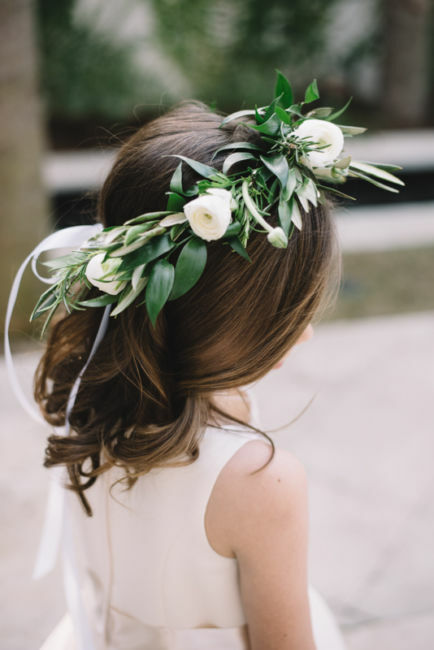 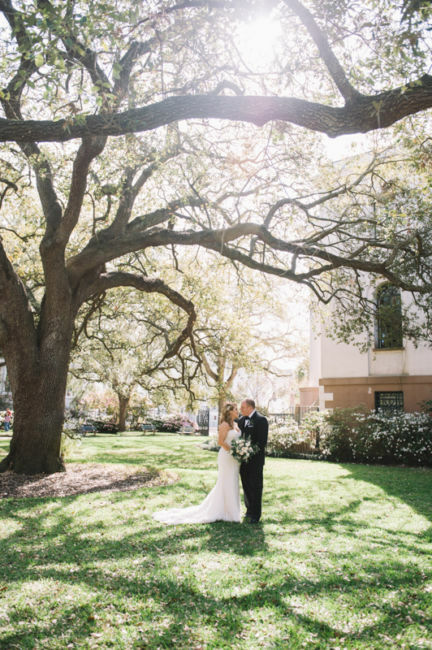 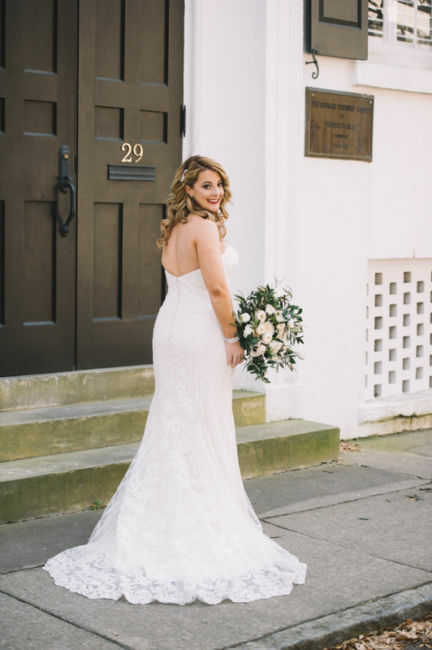 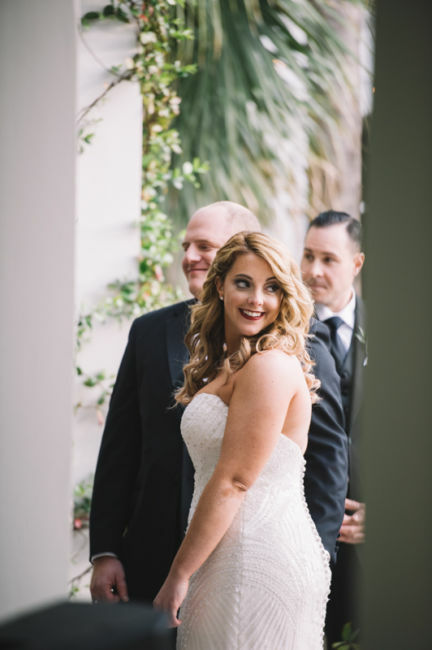 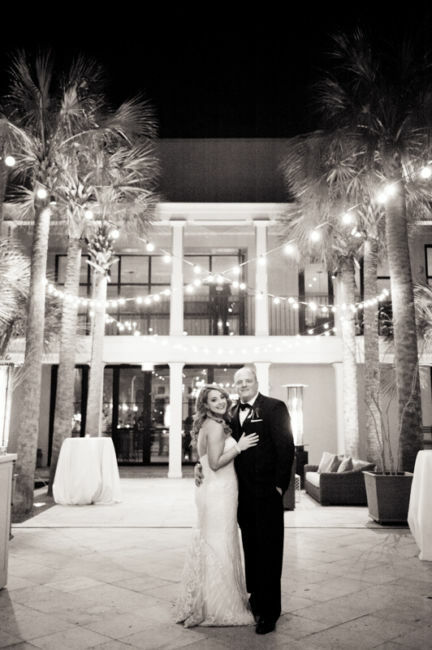 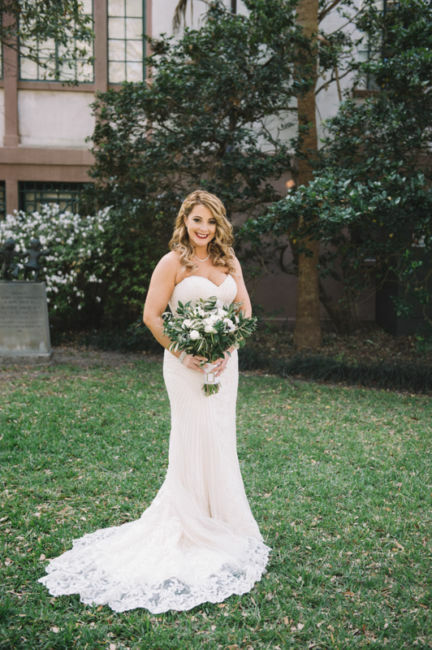 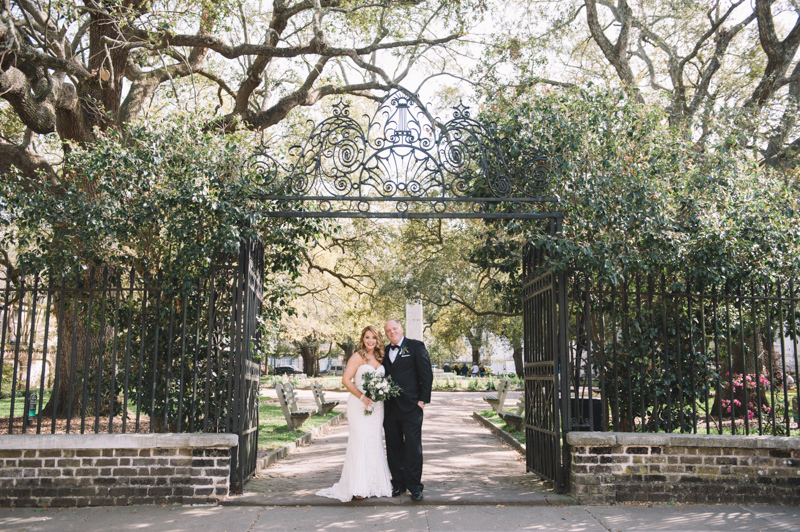 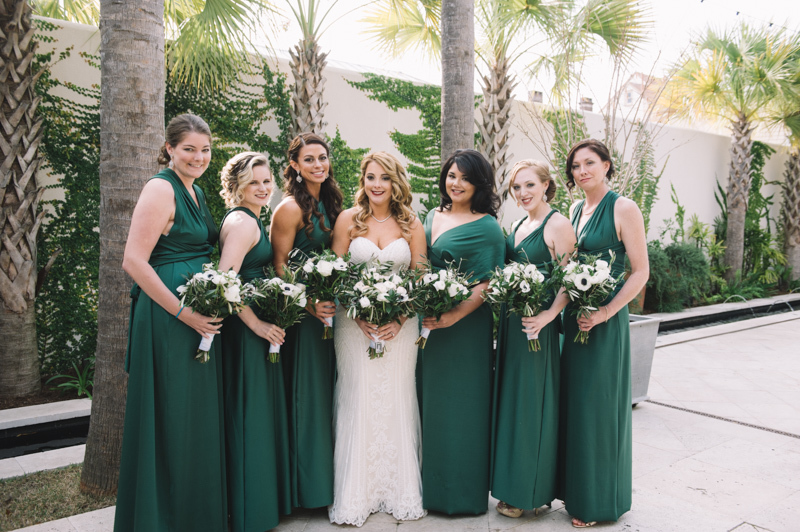 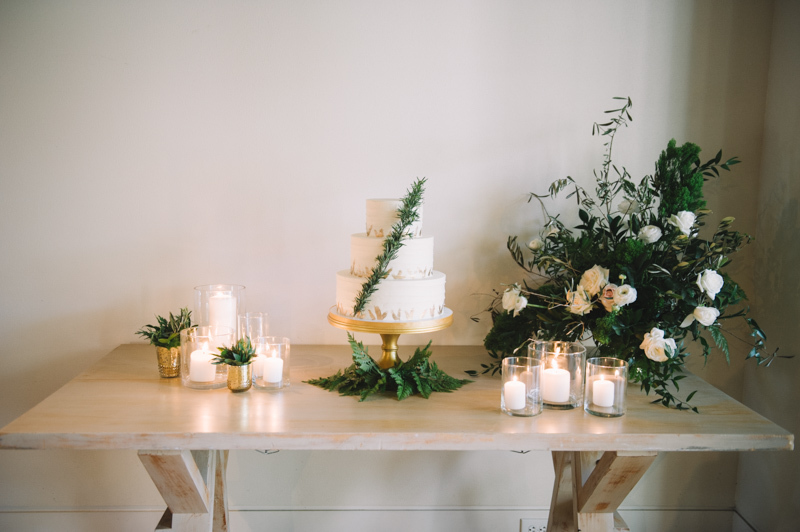 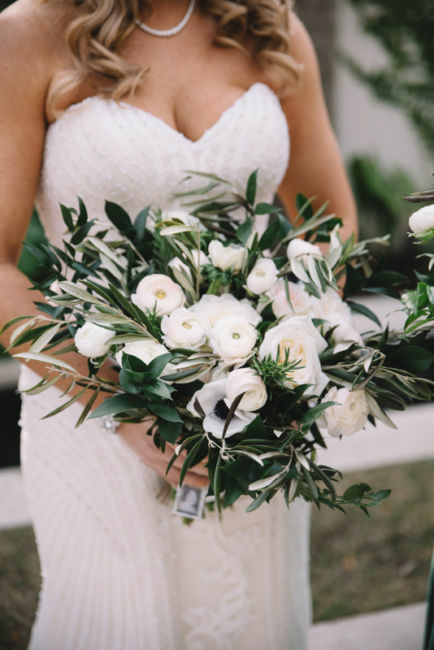 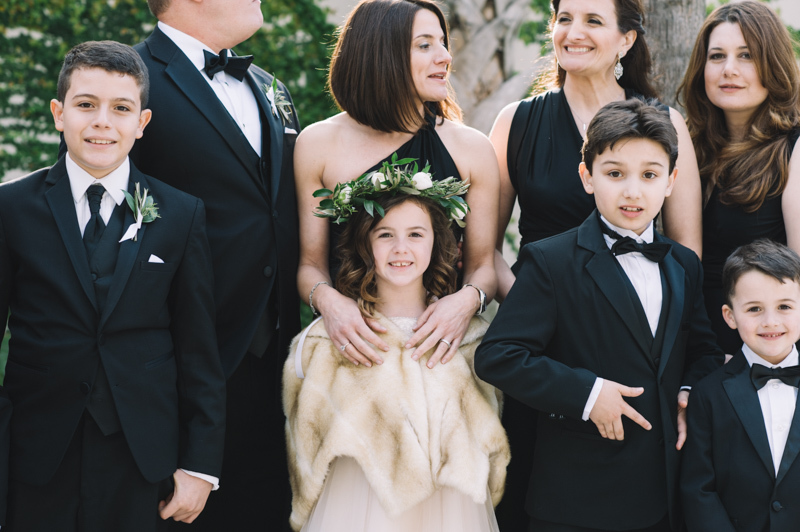 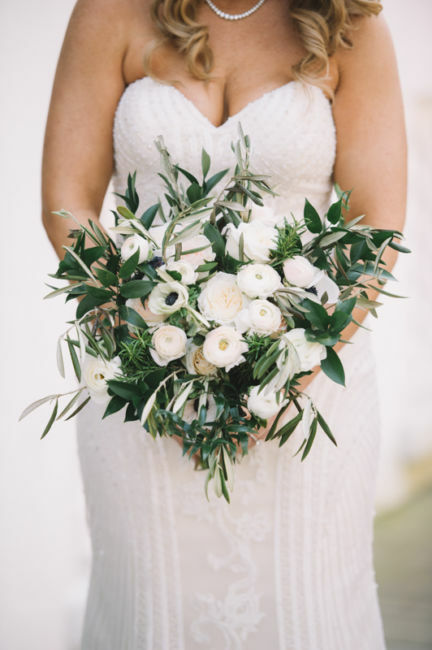 If this Charleston wedding had a theme, it would surely be “love at first sight”. 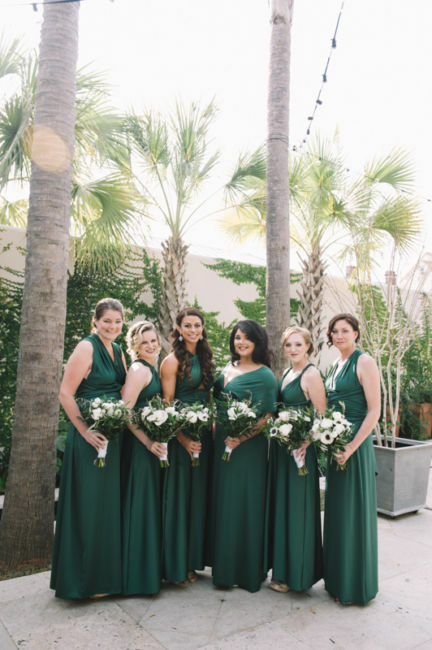 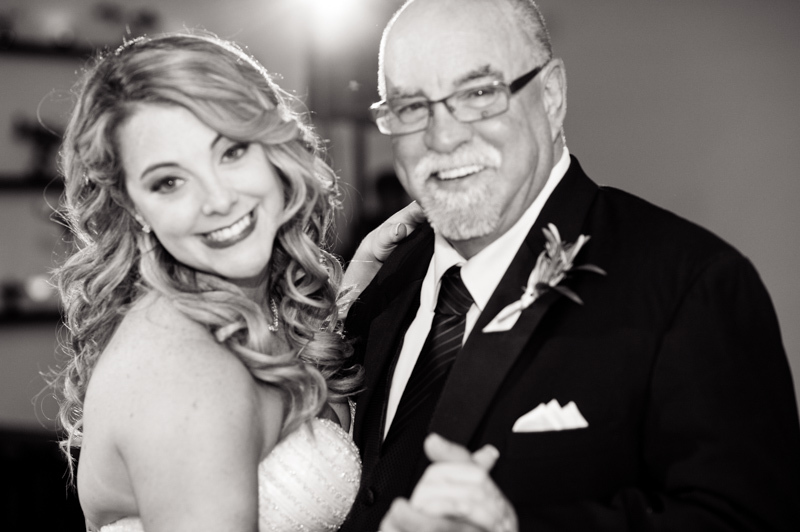 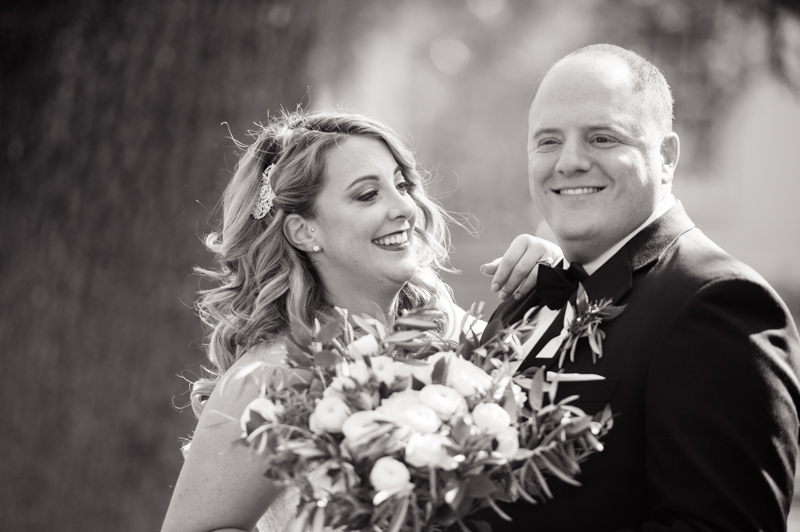 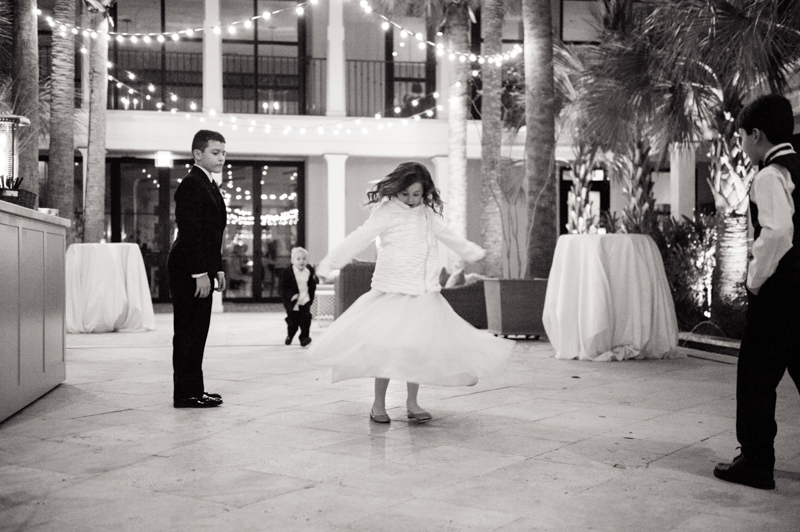 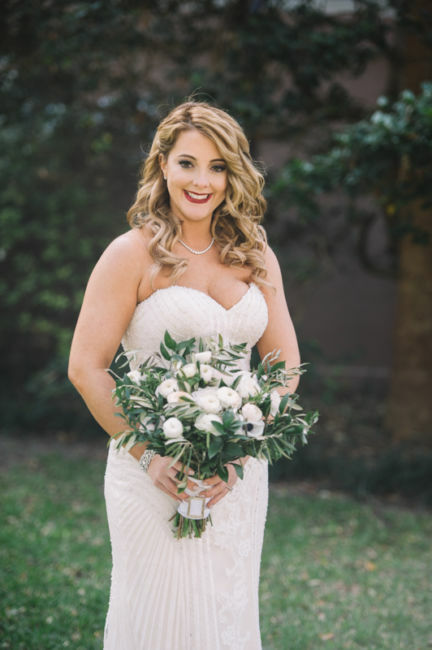 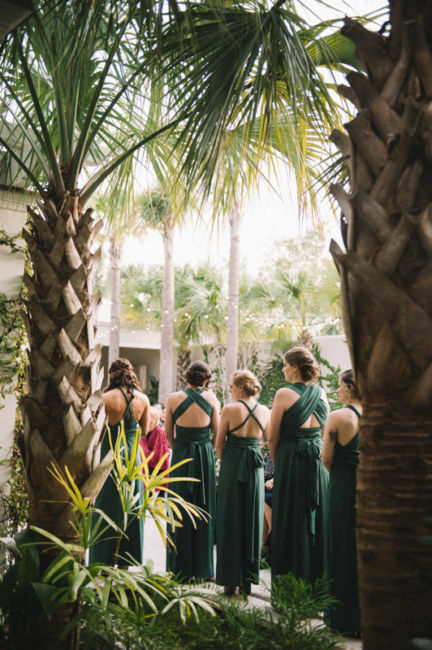 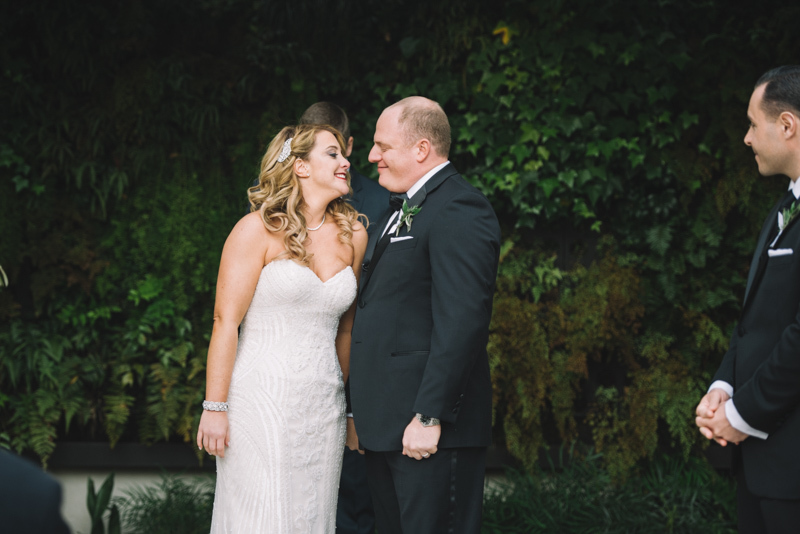 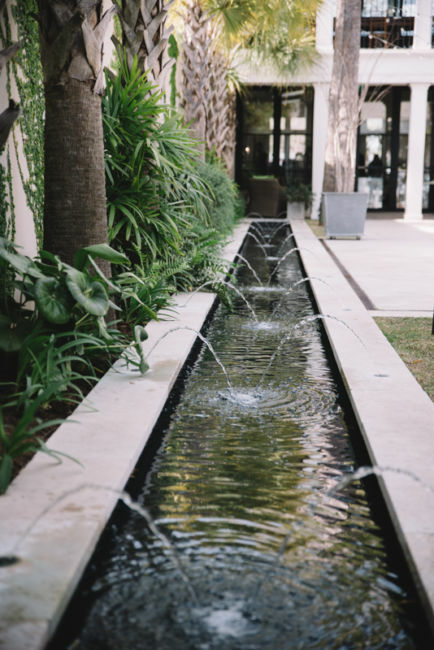 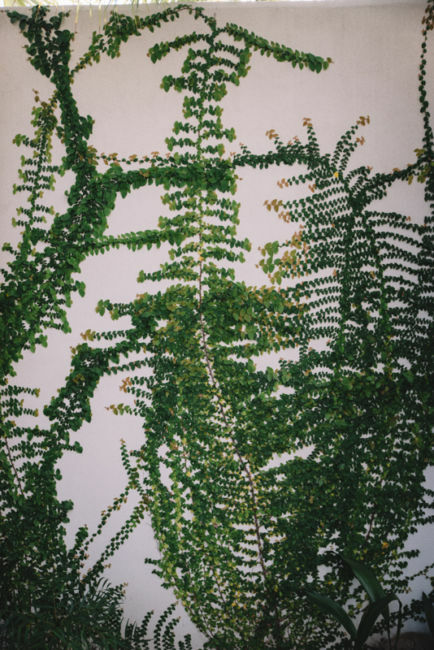 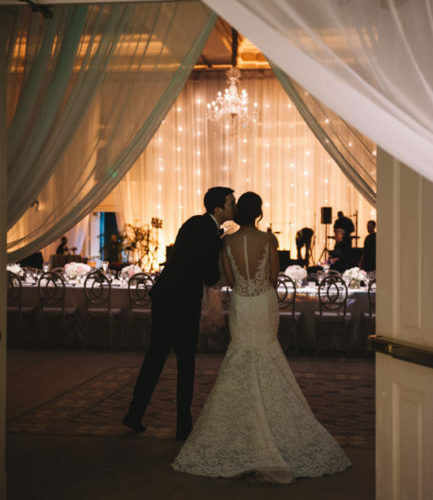 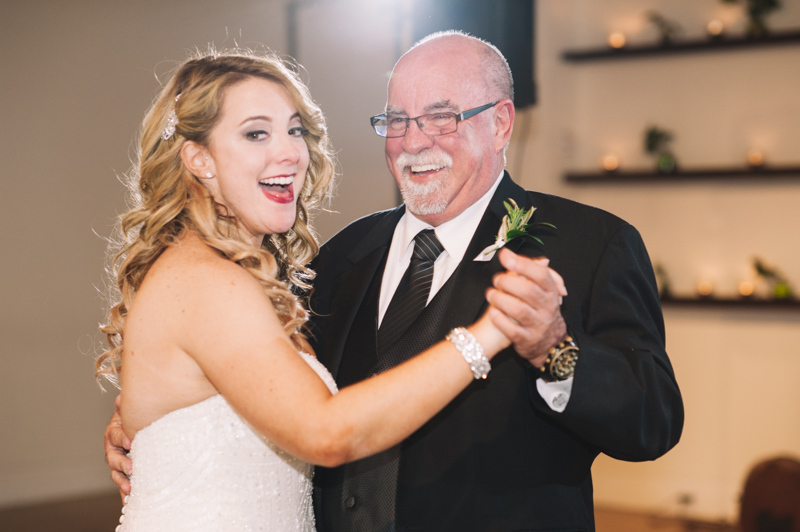 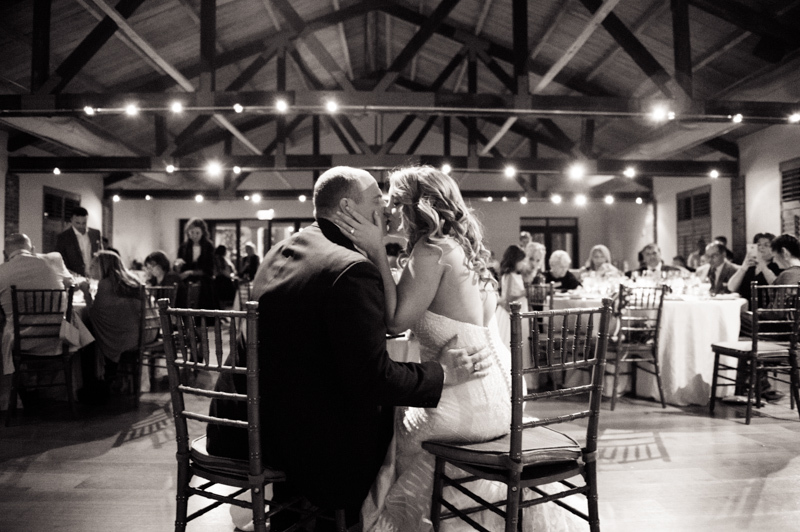 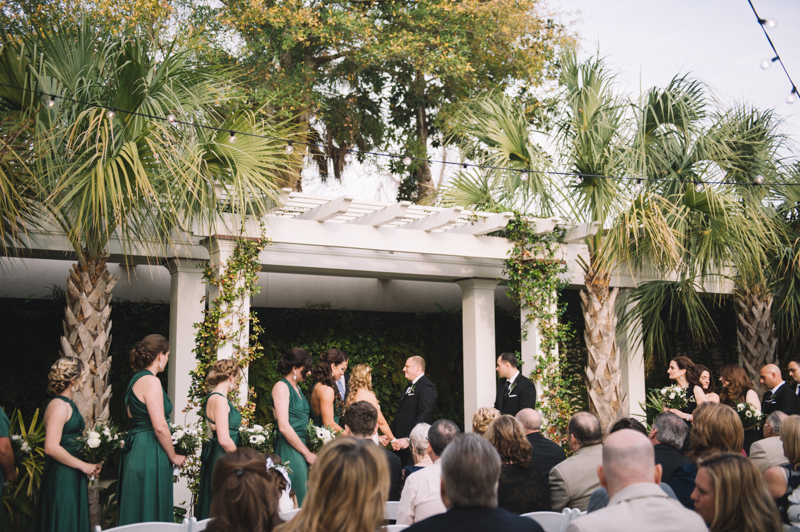 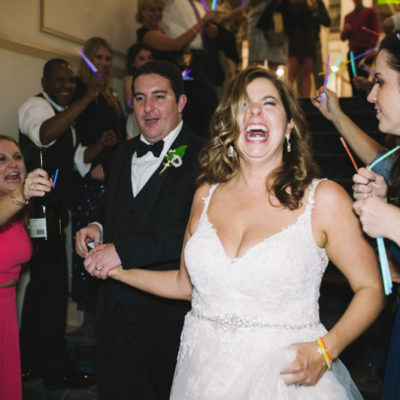 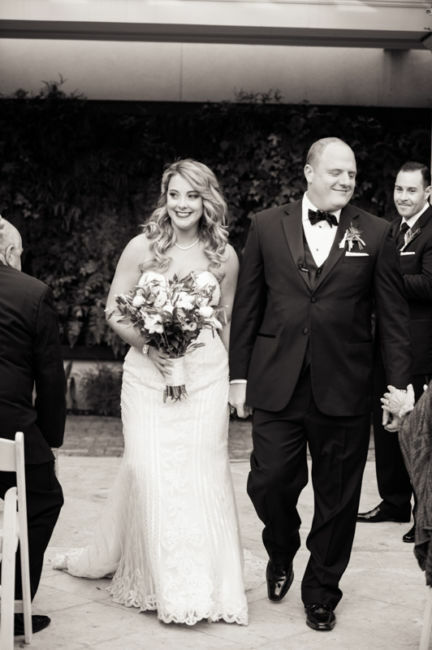 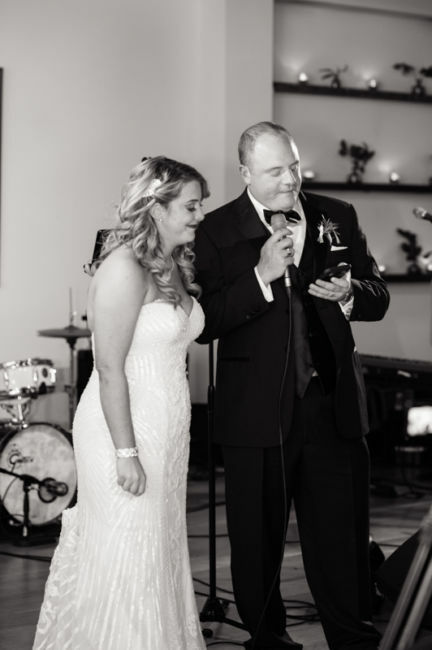 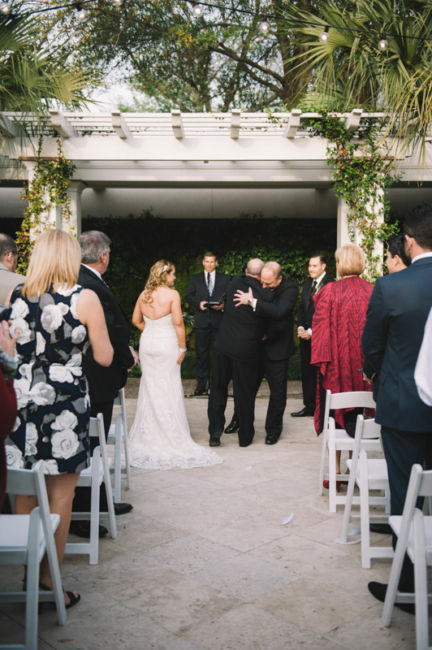 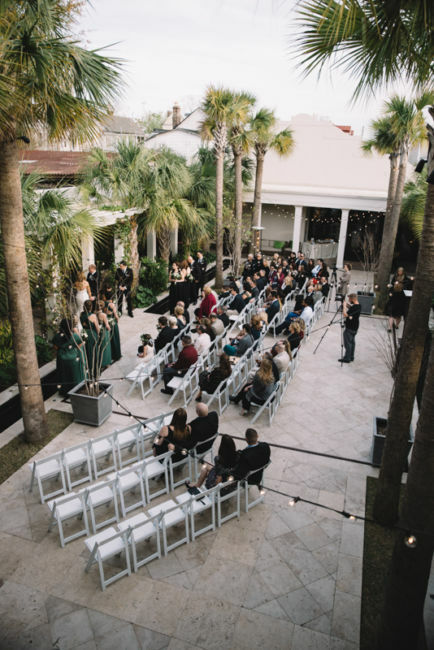 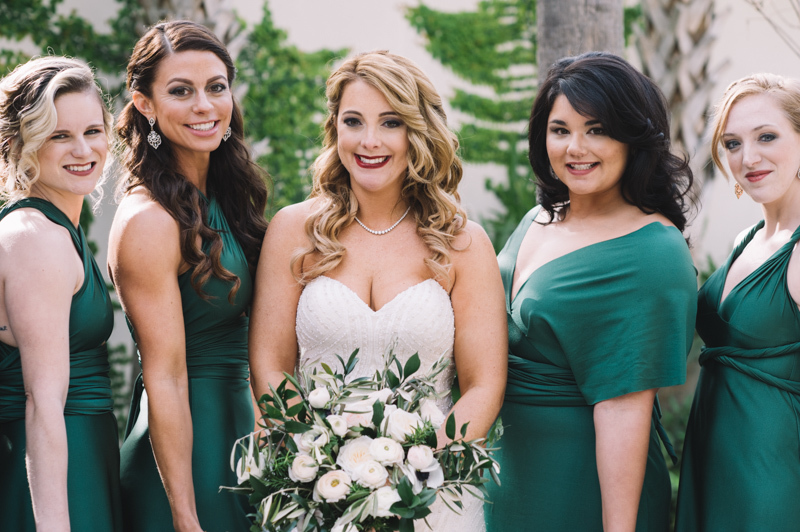 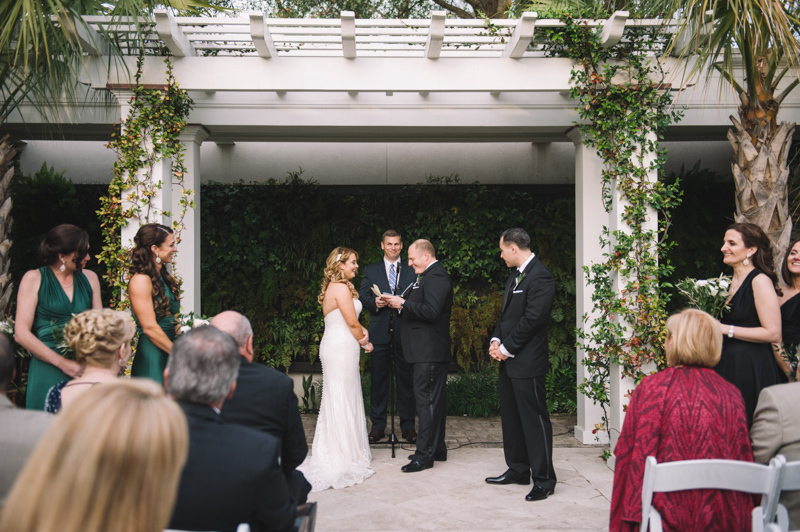 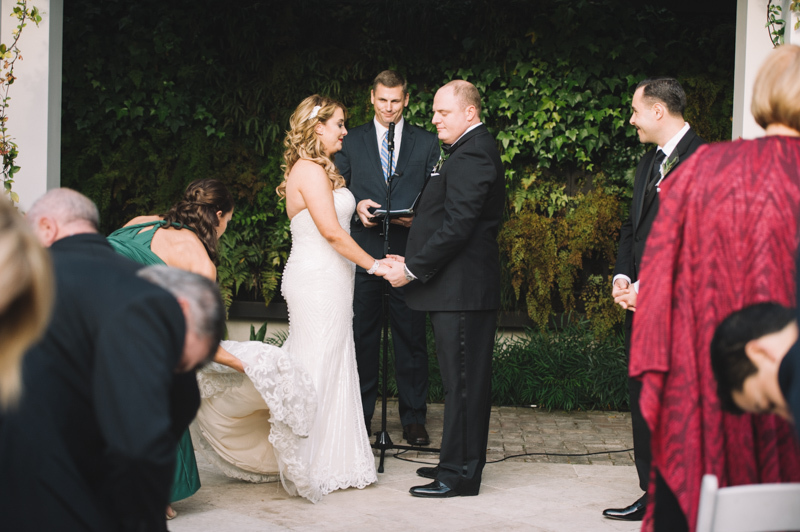 Not only did Chelsea and Paulfall head over heels for each other when they first met, they also chose their venue, Cannon Green, after simply seeing it via a Skype call with Paul‘s sister while she was there for an event. 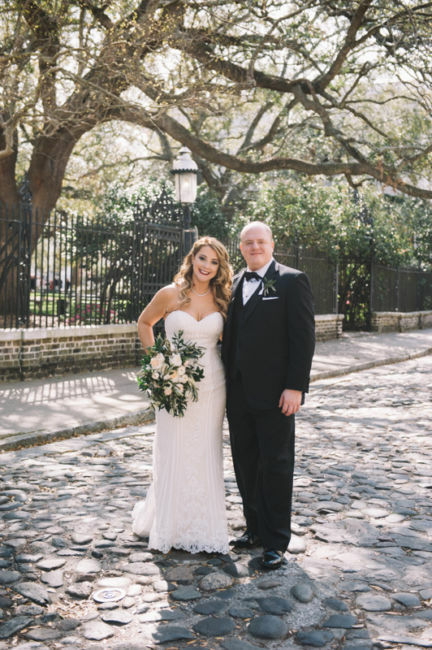 This Florida-based couple hopped on a flight to Charleston and instantly fell in love with the entire city. 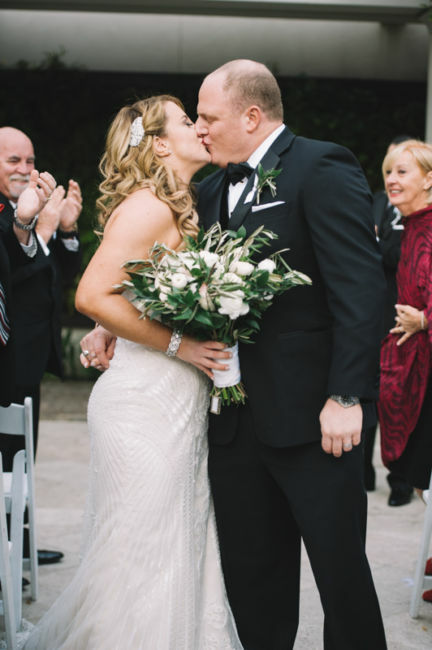 And we are so glad they did! 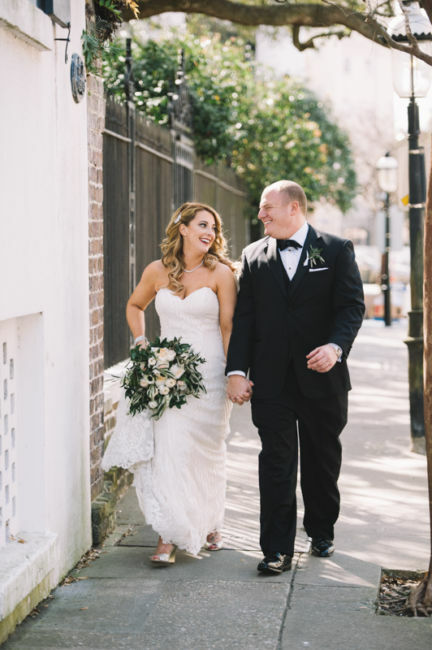 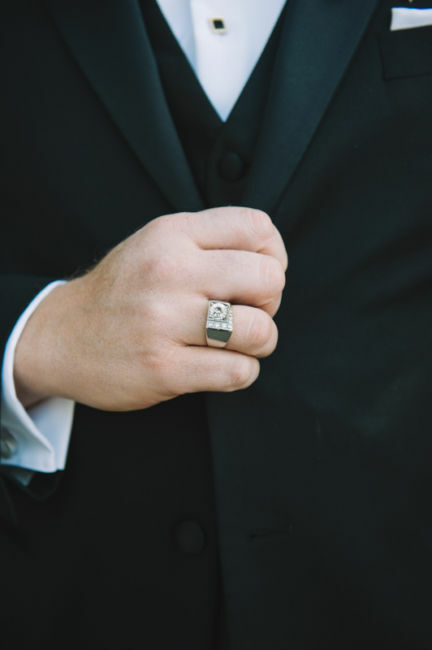 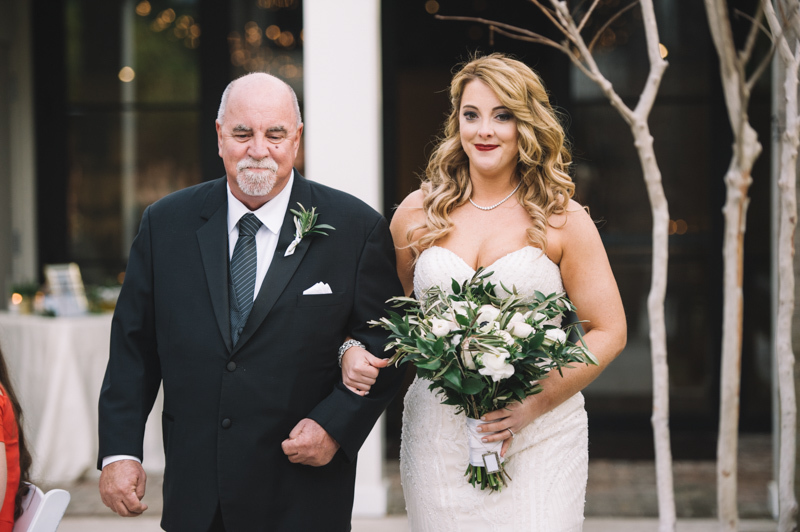 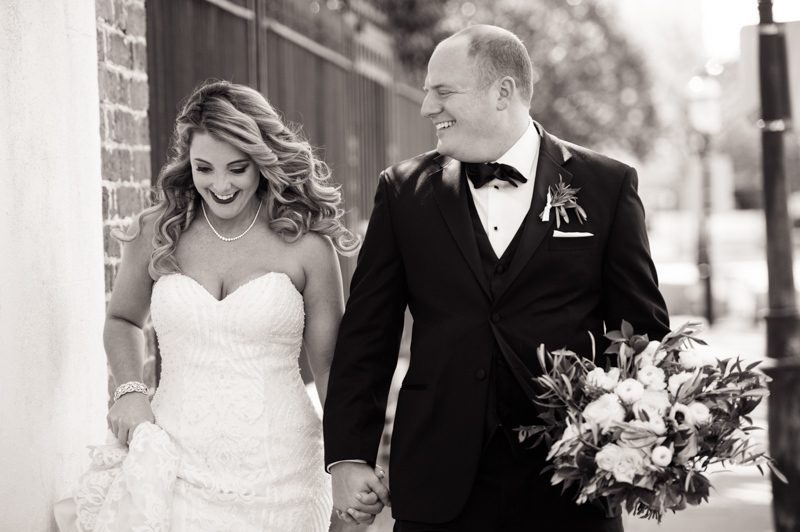 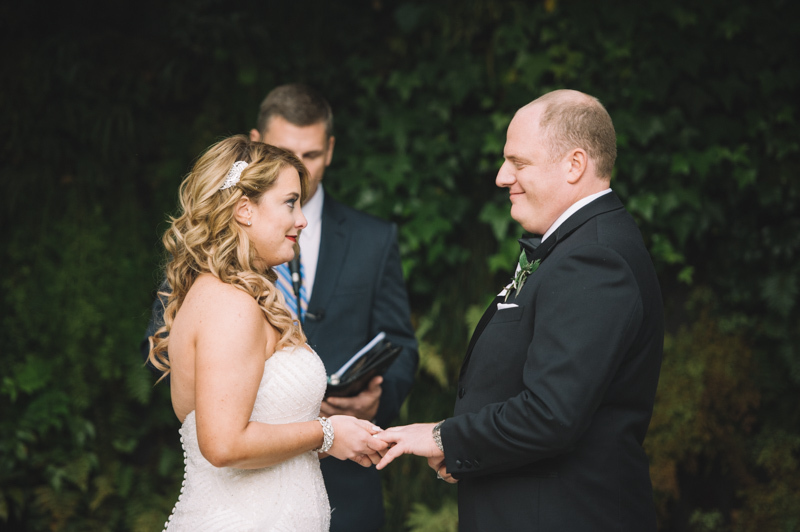 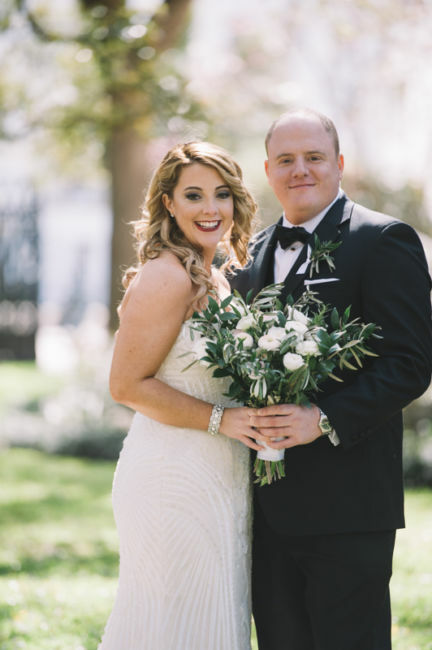 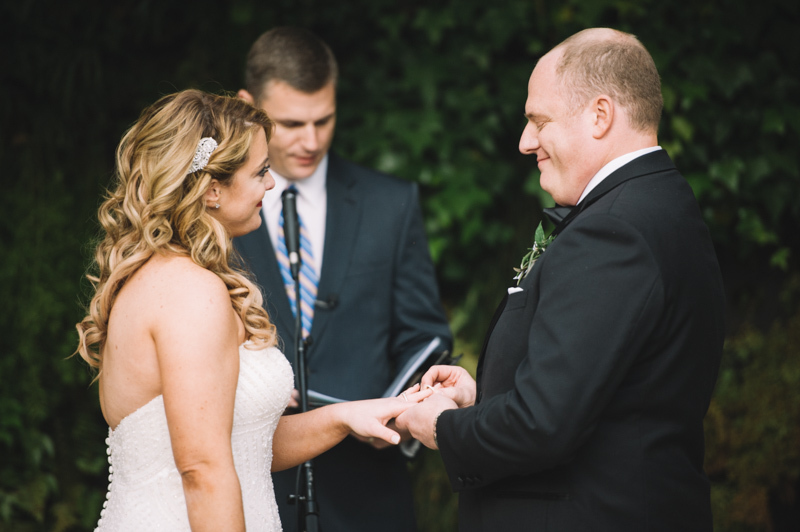 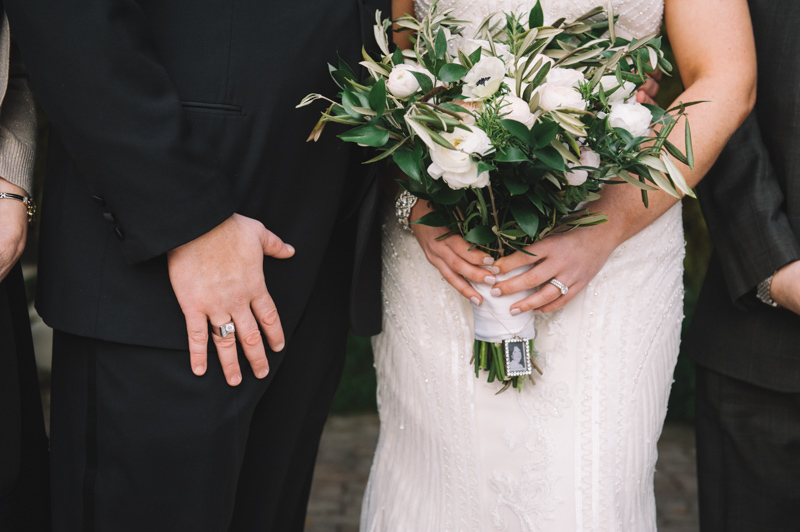 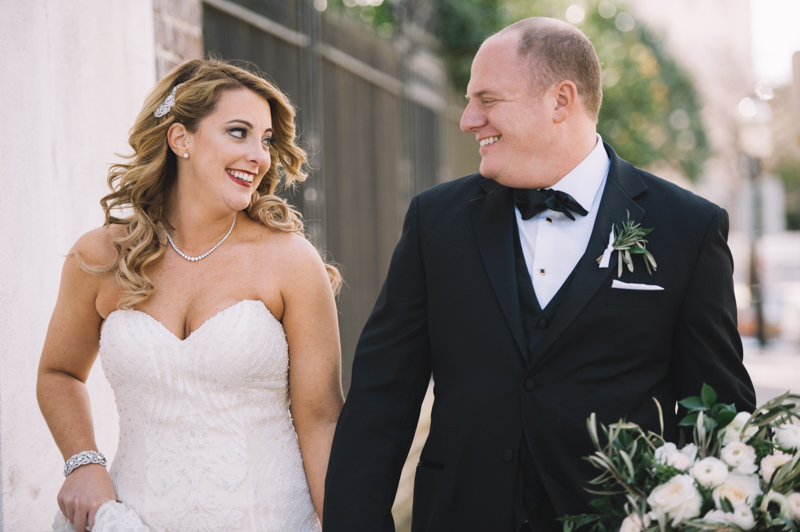 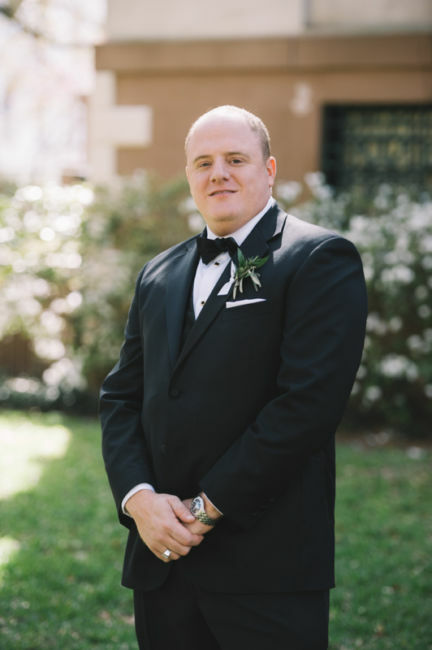 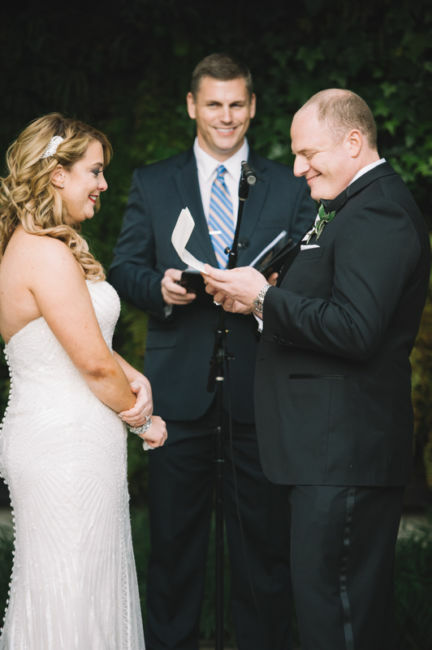 Cannon Green’s charm was the perfect backdrop for Chelsea and Paul to say, “I do” and we love the way they incorporated so many personal details into their wedding day. 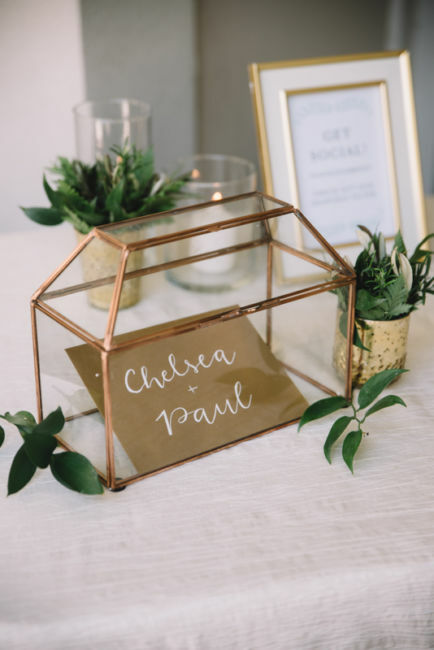 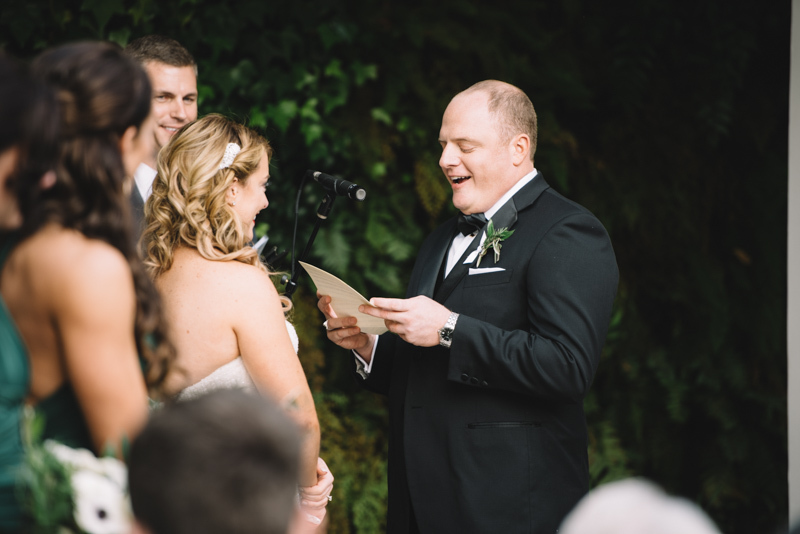 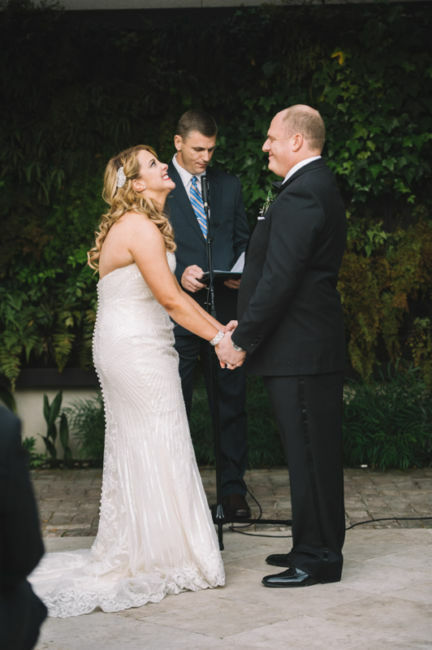 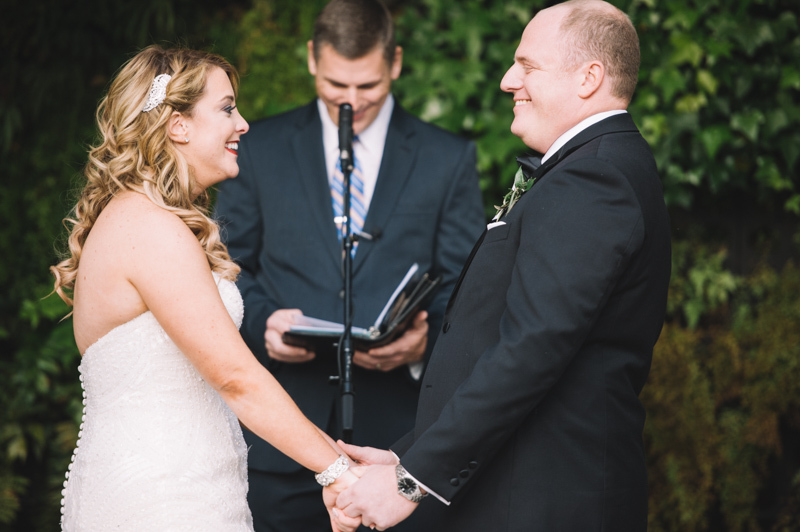 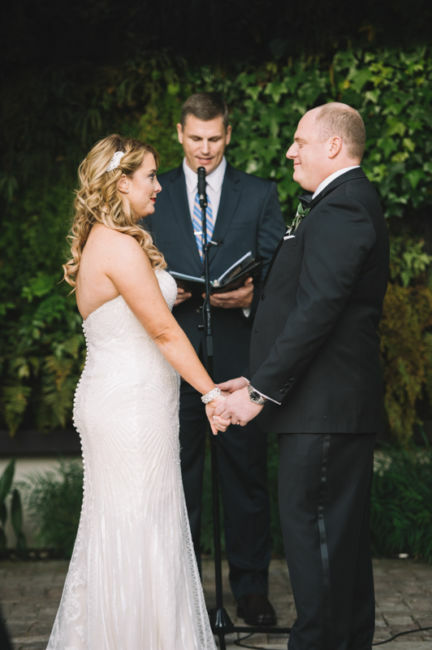 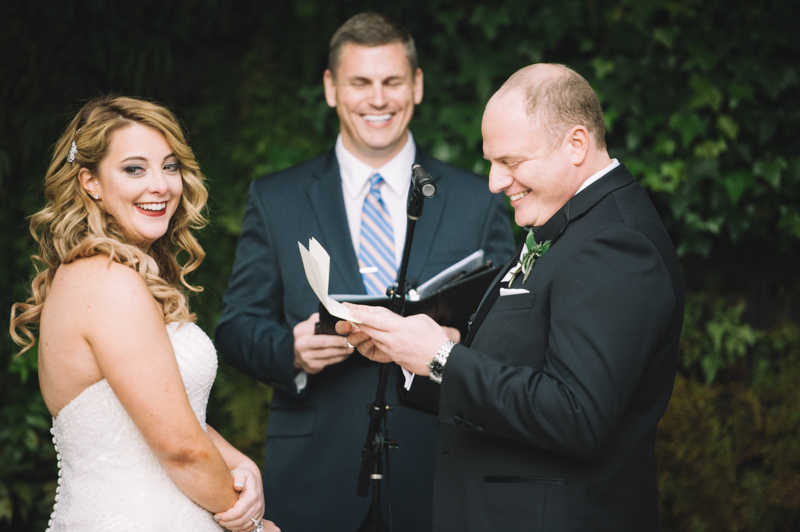 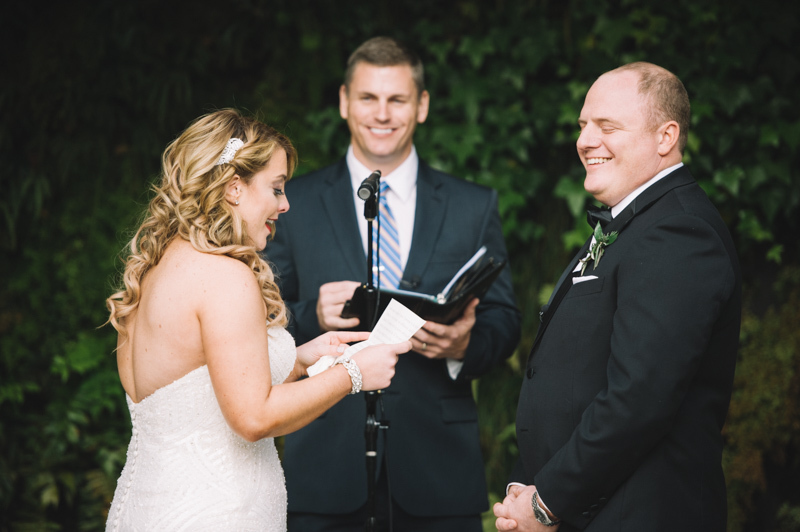 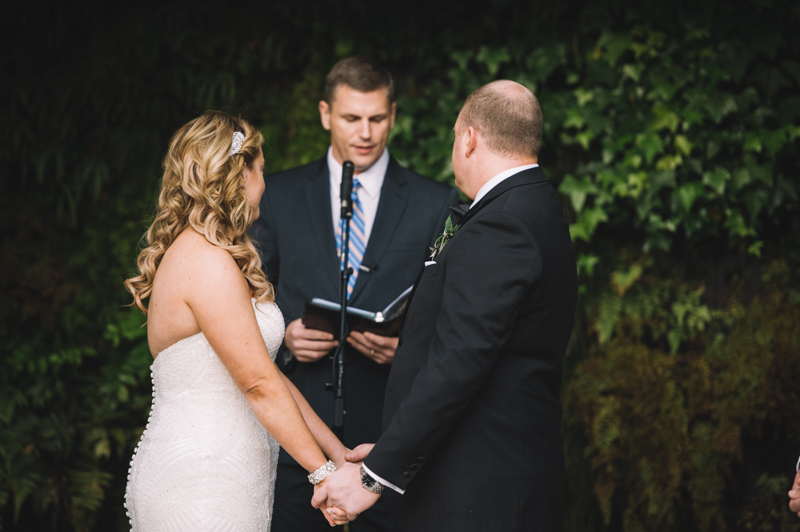 Chelsea and Paul‘s ceremony was custom written to be infused with details of their love story (it was even written to align with their ceremony music!) 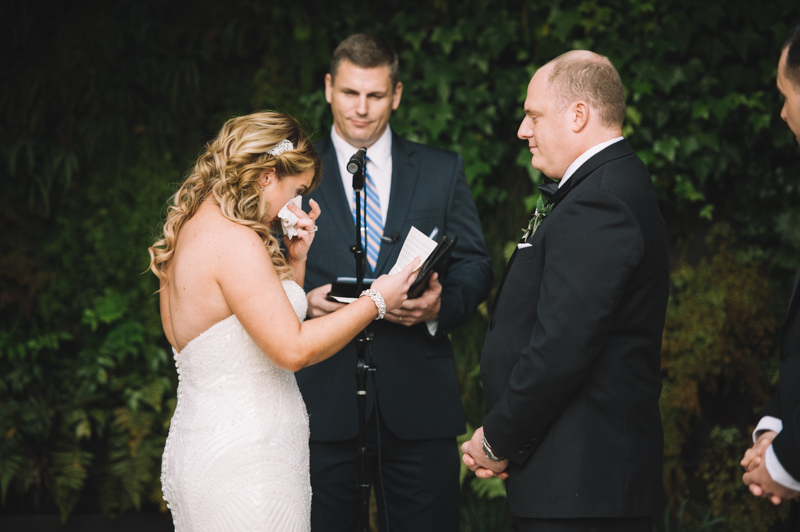 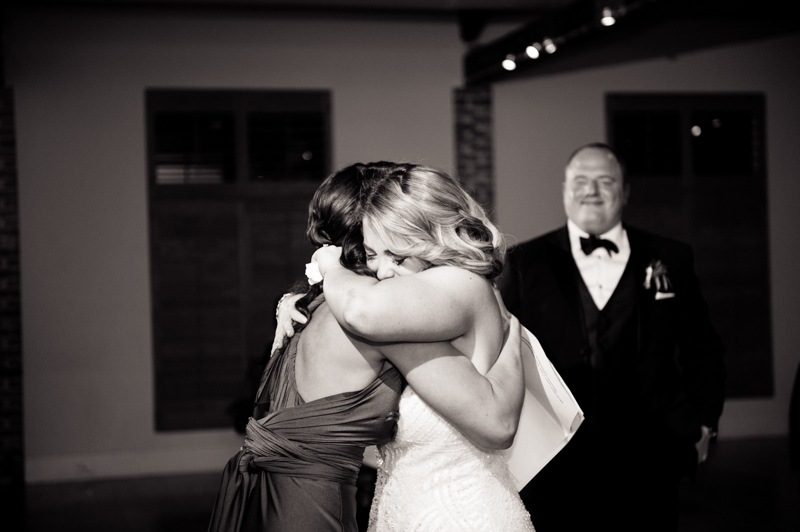 and their vows left guests without a single dry eye in the house. 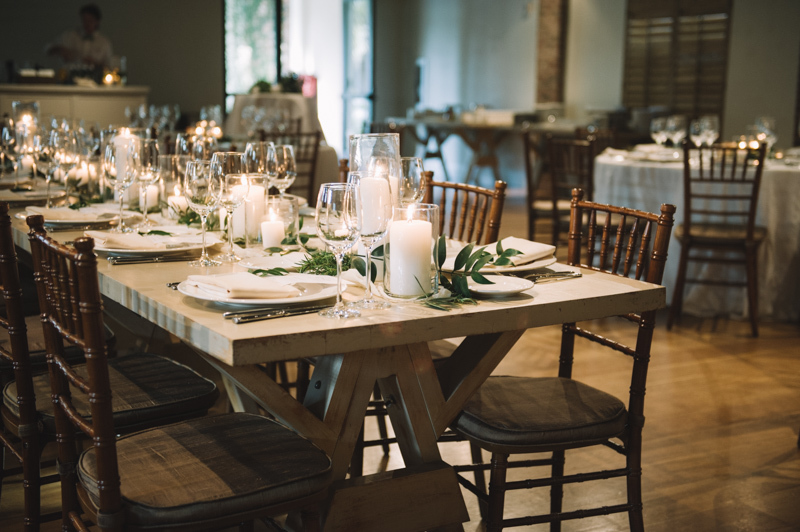 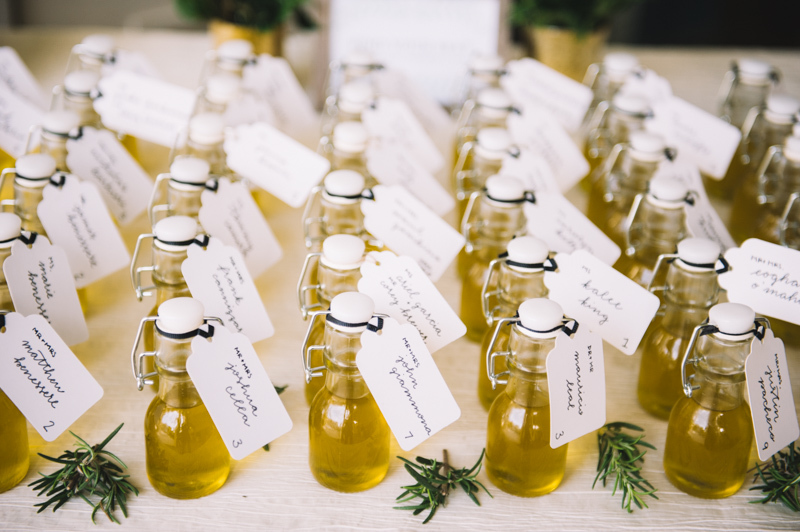 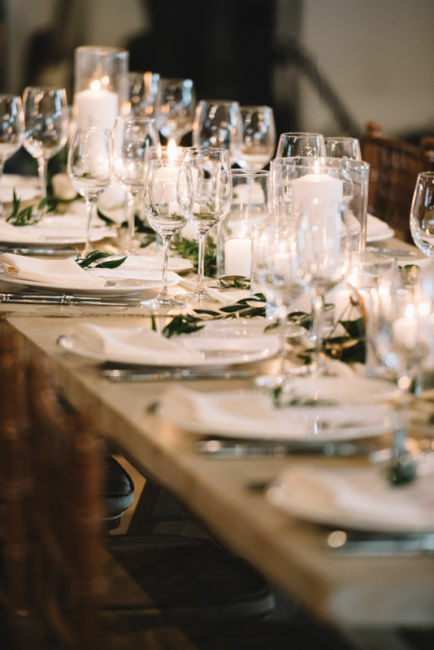 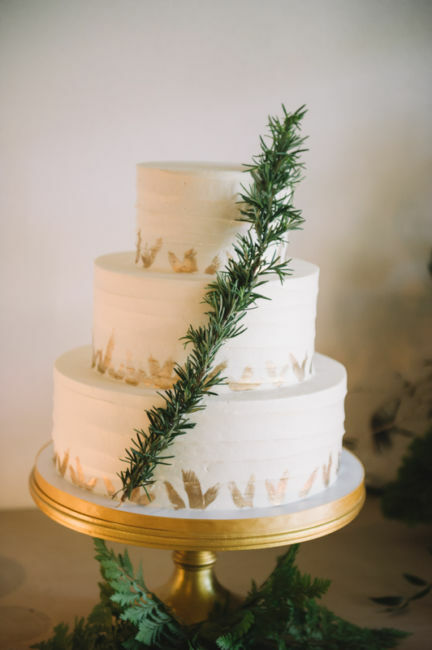 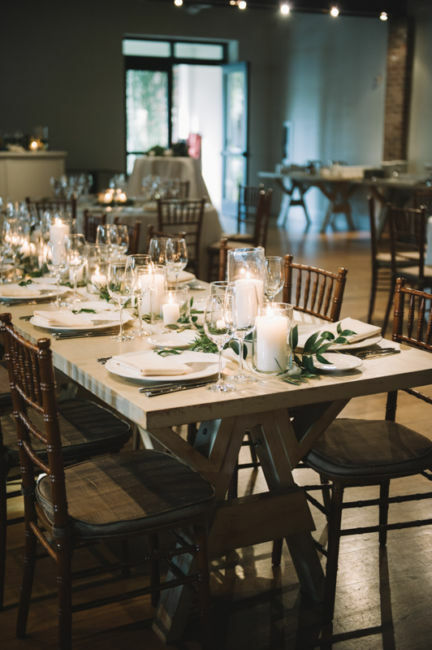 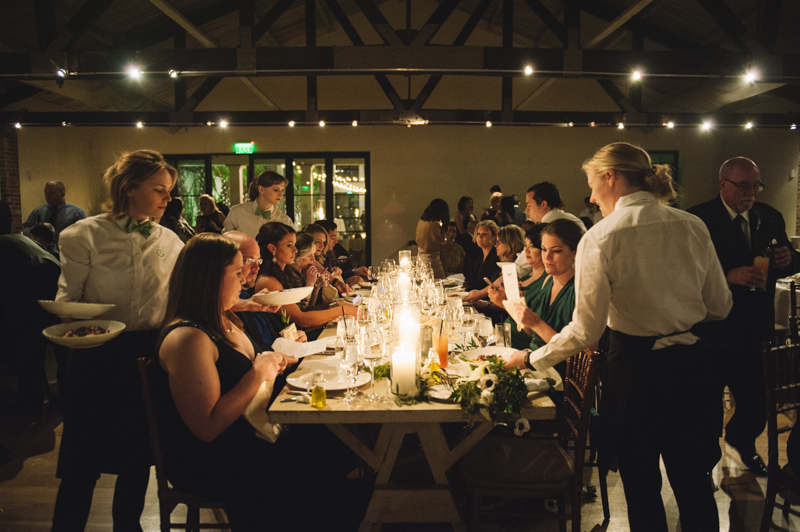 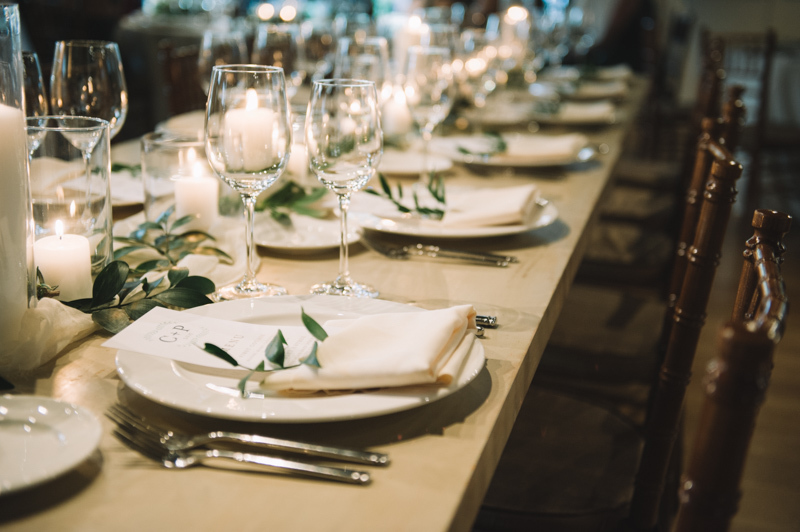 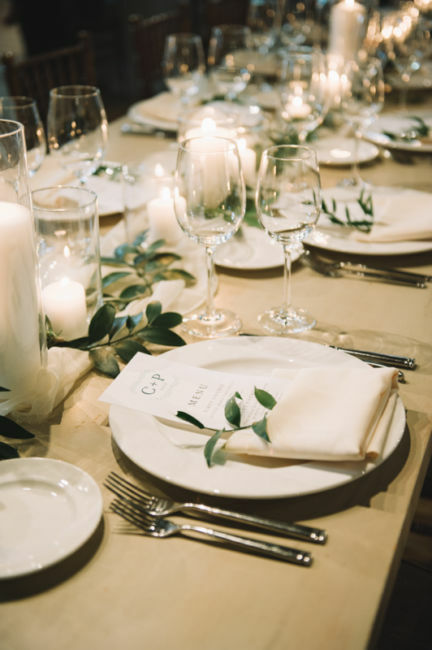 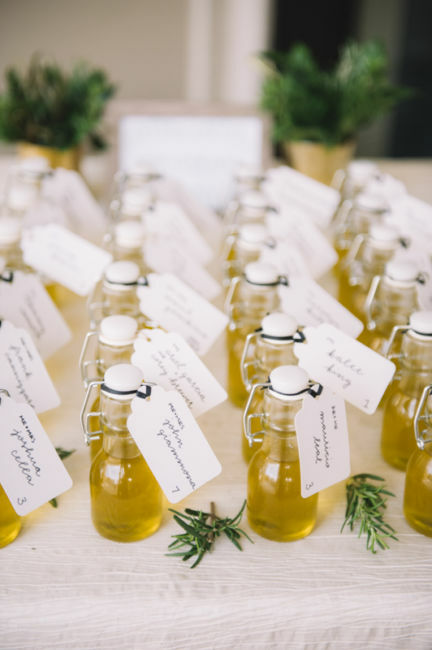 Upon entering the reception in Cannon Green’s historic carriage house, guests were directed to their seats with personalized bottles of locally sourced olive oil – a nod to Paul‘s Italian roots – that served double-duty as placecards. 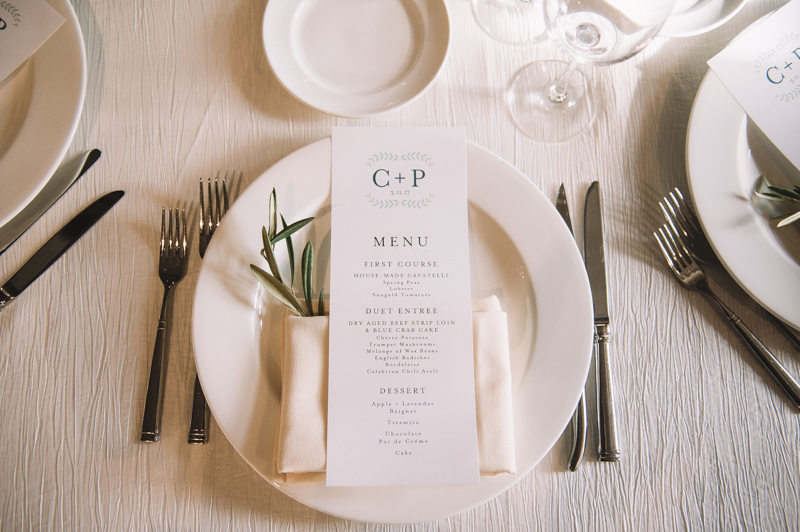 The florals and table settings played upon the greens, whites, and golds already used in the venue’s decor, and the menus were designed with the bride and groom’s custom monogram and a personal message from them to their guests about why they chose Cannon Green as the perfect venue in which to celebrate their marriage. 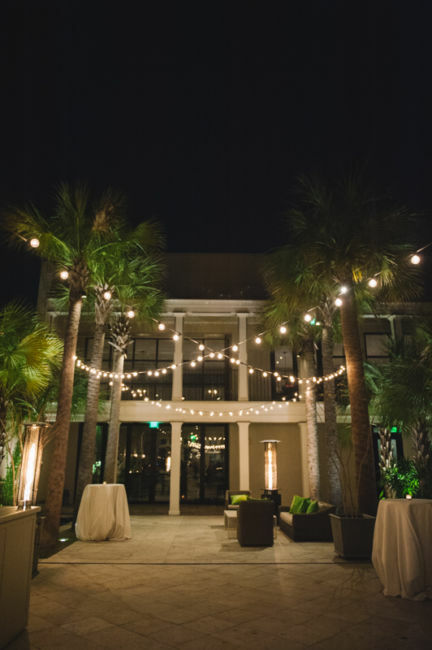 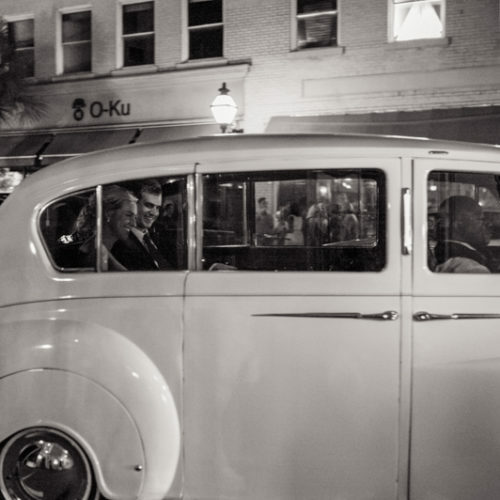 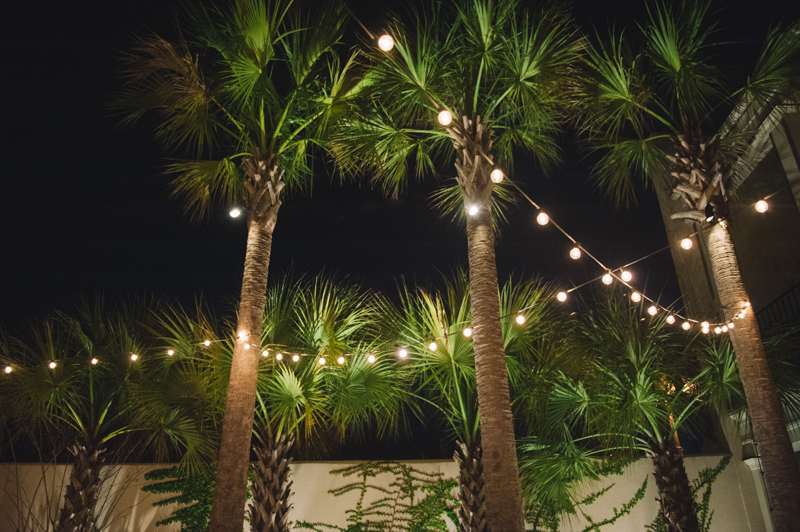 Throughout the night, guests danced to the sounds of Emerald Empire Band, sipped cocktails under the courtyard’s cafe lights, and struck a pose in the one-of-a-kind vintage mirror photo booth from Charleston Booth Co. After the final dance, guests took off in a vintage bus, but not before grabbing a late night snack. 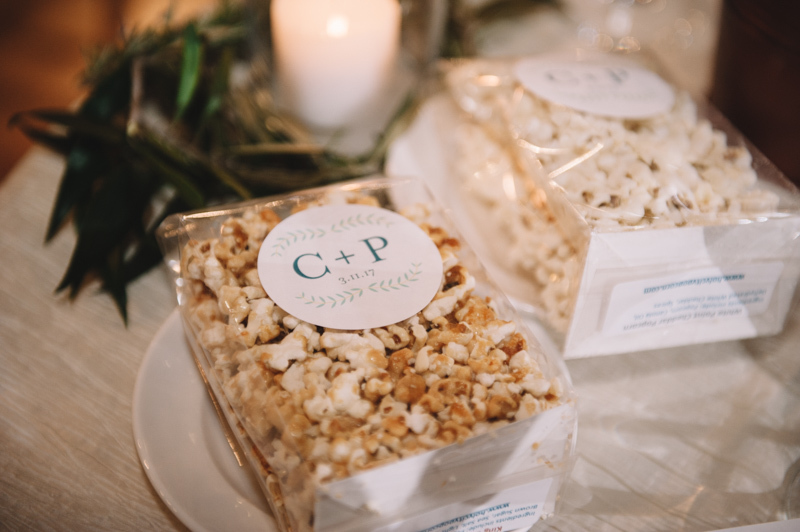 Popcorn – the bride and groom’s all time favorite snack – made for the perfect post-dancing treat! 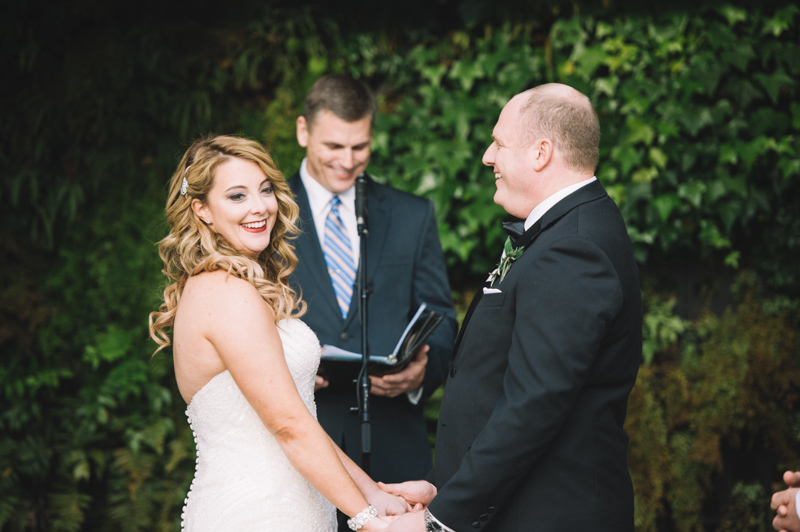 From start to finish, every detail was personalized perfection, and the most wonderful way for Chelsea and Paul to start their lives together.